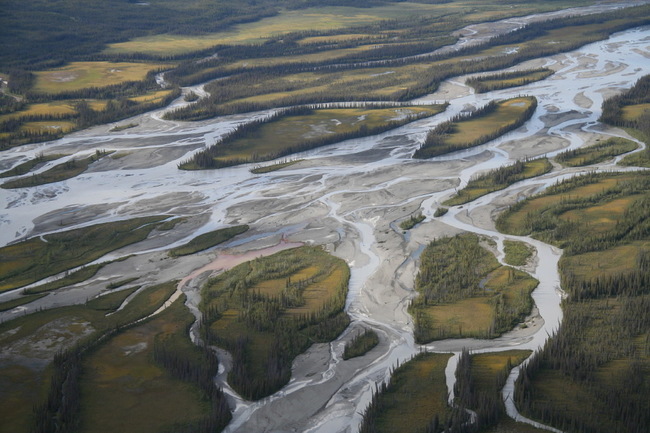 Stretching from Canada’s Yukon Territory to the Pacific Ocean, Wrangell-St. Elias National Park is part of the largest protected land mass on earth. 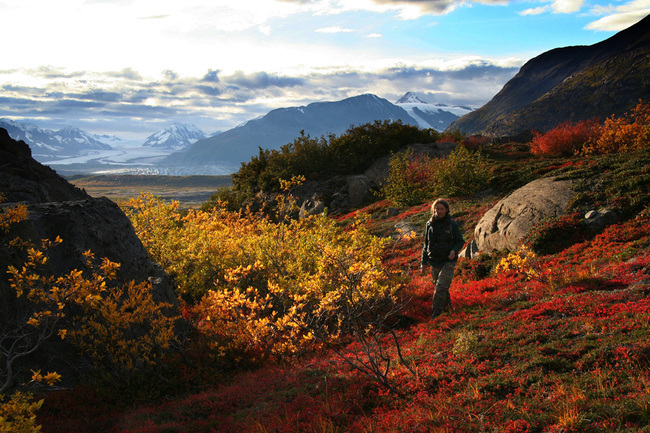 Although the land surrounding Ultima Thule Lodge is deep in a national park, it is utterly inaccessible and almost entirely unvisited. There is only one way to get here. 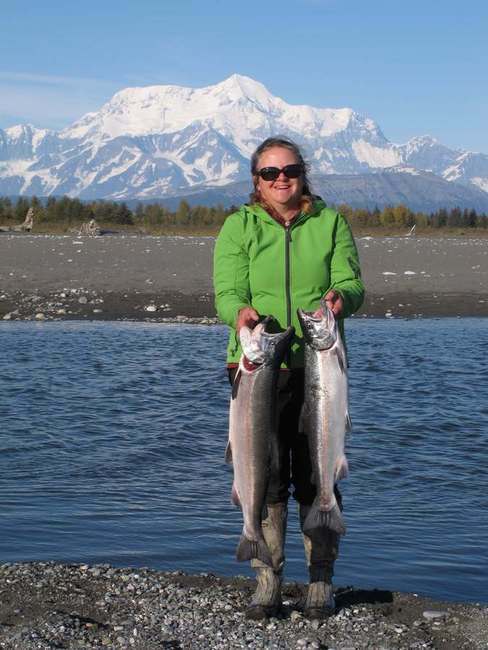 The Claus Family and their experienced wilderness guides can help you discover the perfect activity to match your experience level and your interests for your Alaska vacation. Everyday is unique. One day, you may fly to explore an abandoned gold mine. 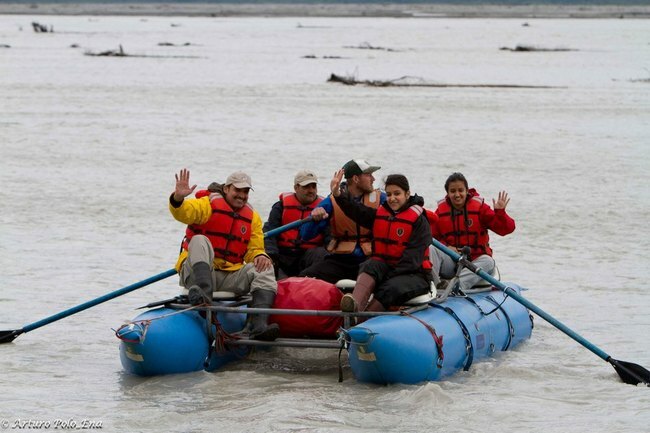 Or, kayak and fish for salmon in a glacial fed river. 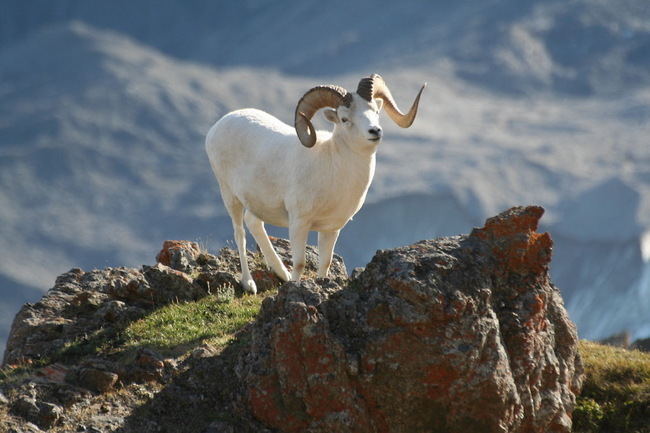 Or, hike in pursuit of Dall sheep across a mountain ridge. 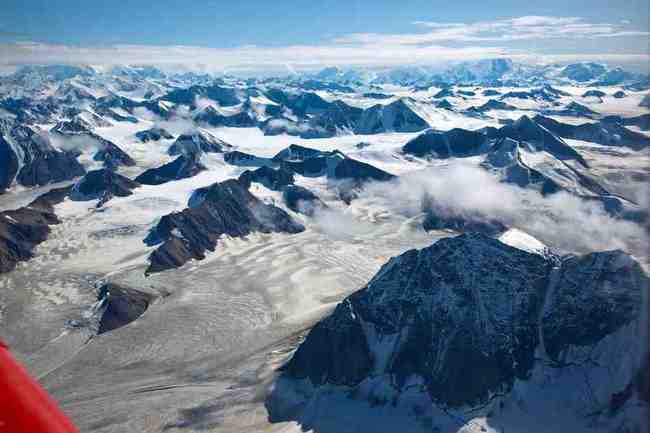 The next day you'll find yourself landing in the middle of the largest (non polar) glacier in the world, the Bagley Ice field, for an undisturbed view of the earth's most massive pile of rock and ice, Mt. Logan. 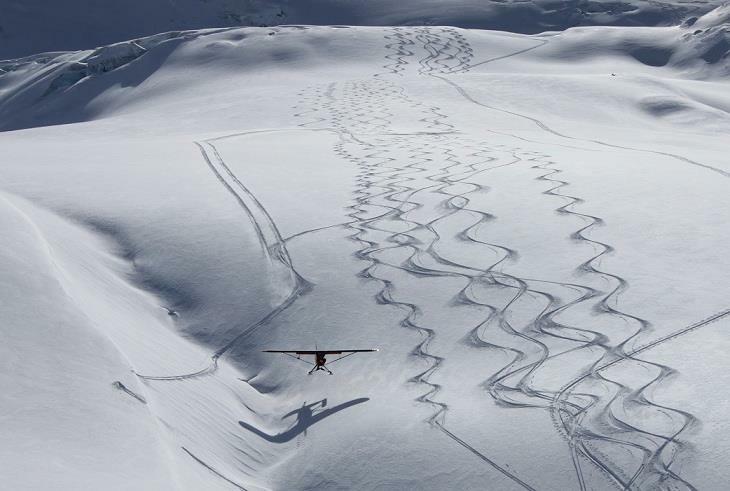 If you want, Paul Claus will take you flying over the pinnacle of Mount St. Elias, the largest vertical rock face on Earth. You will dust Elias’ snowy peak, then dive down over the glacier fields, breeze over the grassy plains, and glide out to the Pacific Ocean. You can land on the beach and eat the gourmet picnic lunch Donna Claus sent along in the back of the plane. 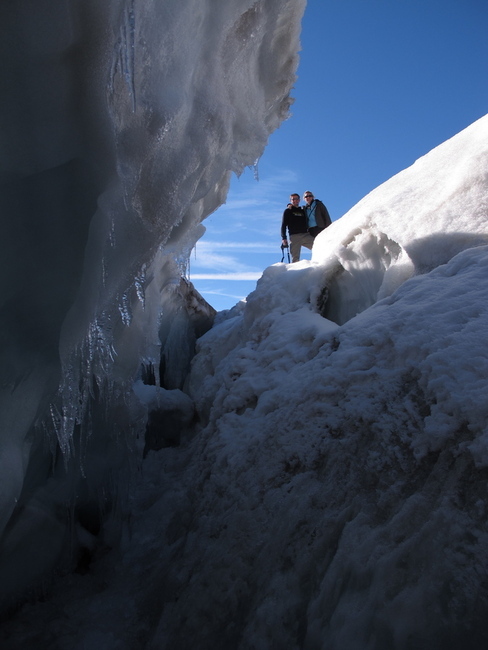 Sit on an iceberg in the sun and watch huge chunks of glacier ice crash into the waves. 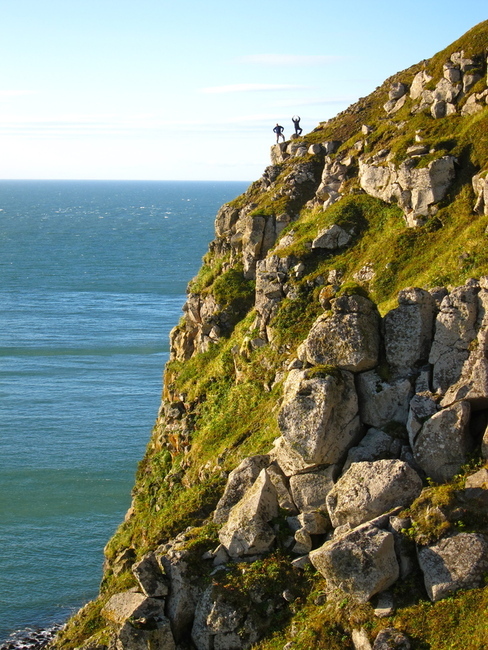 There are no itineraries you have to chose from ahead of time here. No set schedule of events. This is adventuring as it's meant to be, in its purest form, adhering to the laws of nature while respectfully marveling at her grandeur. 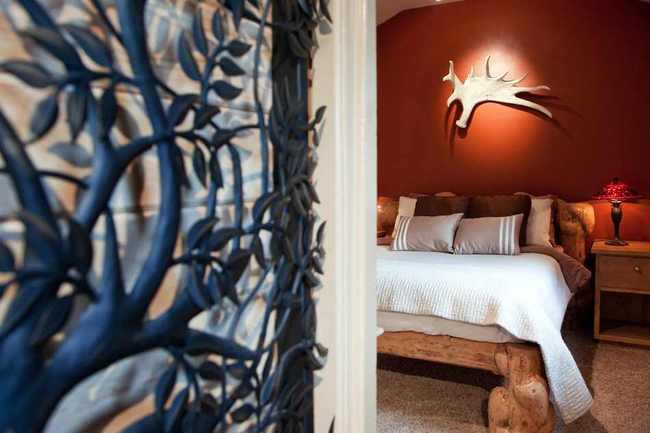 Each evening you return to the lodge and to your private cabin. 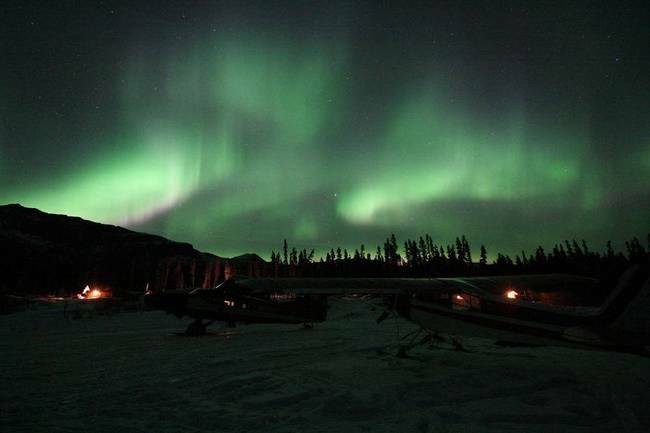 Each cabin has two bedrooms, one room boasting an over stuffed king size feather bed, a full bathroom and an amply furnished sitting room with views of the Chitina River and surrounding mountains. There is also a cedar sauna/self-spa. 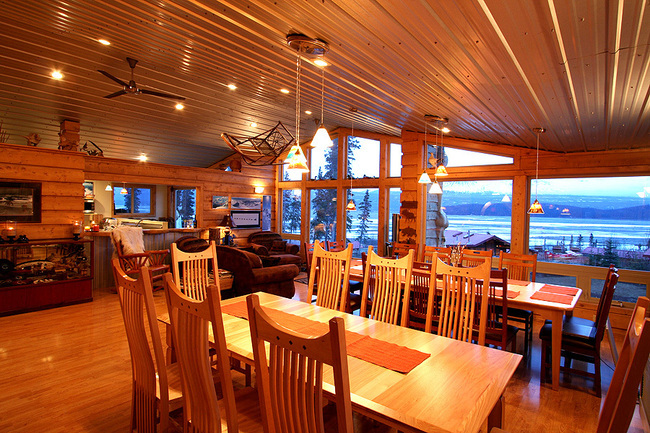 Dining is in the main lodge building and features gourmet meals prepared with fresh Alaskan ingredients. 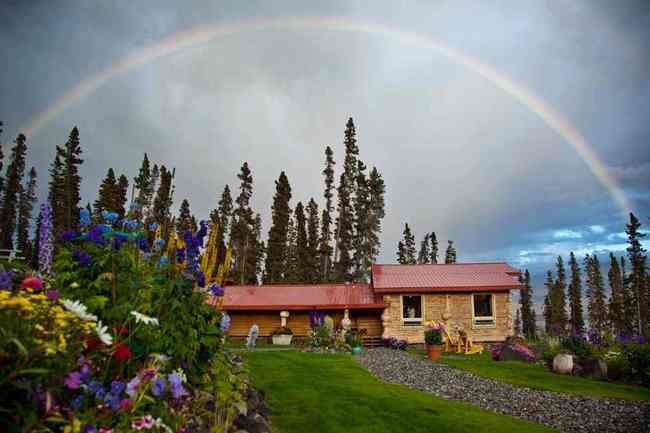 Ultima Thule Lodge has a large organic garden on site, and they grow most of their veggies. Salmon and wild game are also harvested locally. Special dietary needs can be accommodated.